A pull toy in wood. 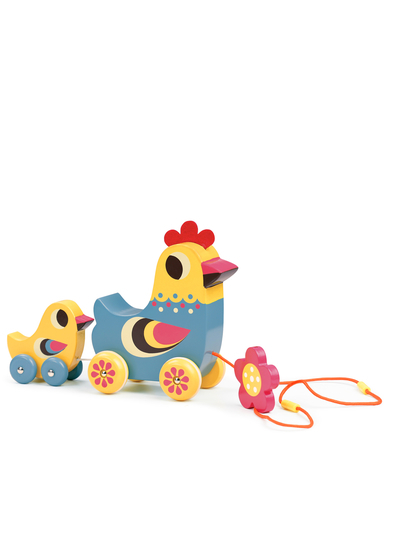 The hen and her chick are painted in classic, bright colors and have a great shape. When you pull the chick the music plays until the little one has caught back up with it's mom. The string has a link to make it extra safe for the youngest kids.